It's that time again where I like to look back at what I stitched the past year. So what happened in 2016?? * One of my goals every year is to post more often. Well, I think I accomplished that for the most part. Although I only posted 17 times in 2016 here on this blog, I did also post 17 times as a contributor on Feeling Stitchy, so I am satisfied with those numbers. 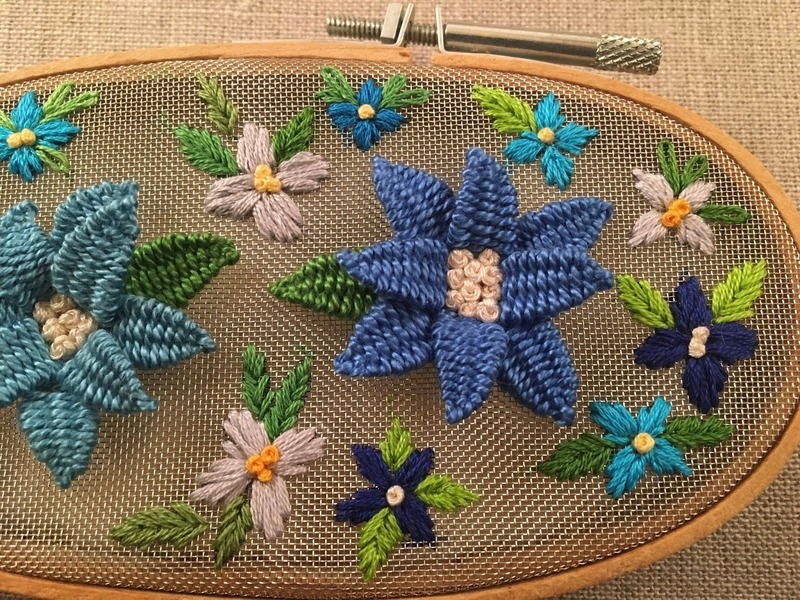 * Speaking of being a contributor ... some of my most favorite stitching from the year was for Feeling Stitchy: I got to do two book reviews (here and here), stitched a woven basket with flowers, experimented with plushwork, and the woven picot stitch with wool. 1. Post as often as possible on Feeling Stitchy. 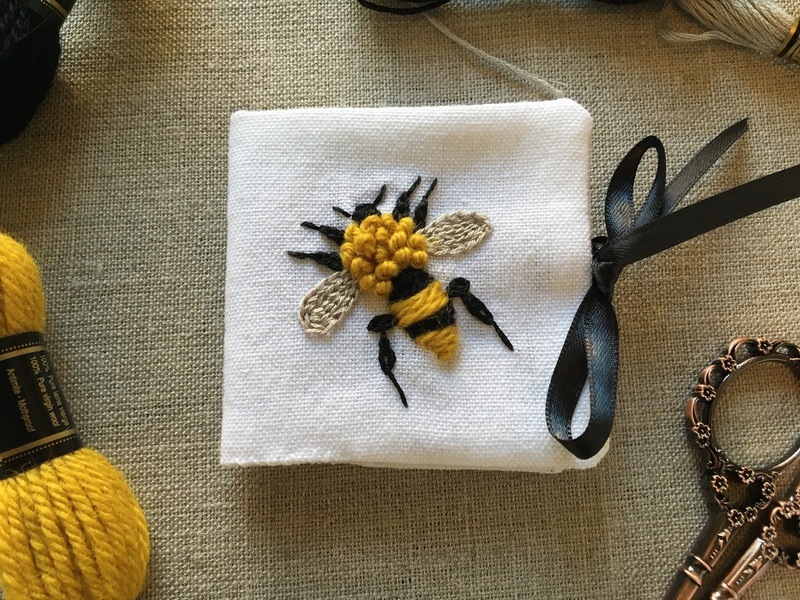 I know I should probably post more on my own blog, but honestly, Feeling Stitchy has more readers and it feels good to share my embroidery to an audience I know exists. HA! 2. That being said, I know there may be some people that actually look at this blog and that is AWESOME!! Thank you for taking the time to check out my stitching here!! I am still going to post here, but as my second goal, it will be mostly about completing my WIPs. What I mean is, I have so many projects that I have started just for fun or for myself or even old projects that I want to finish and take better photos of. That is going to be my goal for this year: have fun with my embroidery and finish all those old projects that I have put on the back burner and share them here! All right - if you made it this far, I wish you a Happy New Year and Happy Stitching!! Thanks, Sally! Happy New Year to you also! Happy New Year! Your work is all beautiful. 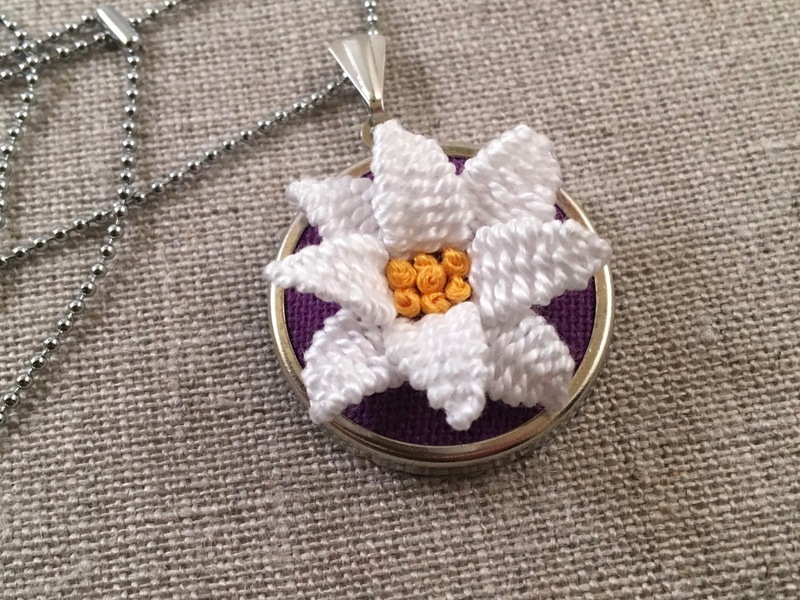 I may have to try making one of your poinsettias with the woven picot stitch. (It is on my list of stitches to practice and I have a couple of Christmas themed crazy quilt projects on my To Do List.) Beautiful work. Hi! I finally worked the woven picot stitch into a poinsettia on a crazy quilt stocking I am making for my son. I linked back to this post in my blog post. Thank you for the beautiful inspiration!